Fierce returns to Birmingham from 7-11 October 2015 with a mix of live art, music, dance, installation and the infamous Fierce parties alongside eight UK premieres. Simone Aughterlony will present Supernatural, a dance piece exploring gender roles that has been well received at festivals in Europe and the USA, and is hotly anticipated in the UK. In Happiness Forgets, performer Season Butler will re-enact the opening sequence of all seven series of 1990s TV classic The Cosby Show, which feature the Huxtable family doing a series of dance moves. Music forms an important part of Fierce 2015. The DJ Who Gave Away Too Much Information sees the Canadian company PME-ART sharing personal stories connected to their vinyl collection during a ‘listening party’ at COW Vintage clothing store in Digbeth. Audiences are invited to bring a sleeping bag and spend a night in the Digbeth gallery for Sleep with a Curator at Eastside Projects before enjoying a communal breakfast. Curator Gavin Wade will join in the sleepover, reading a selection of bedtime stories and cooking bacon pancakes in the morning. 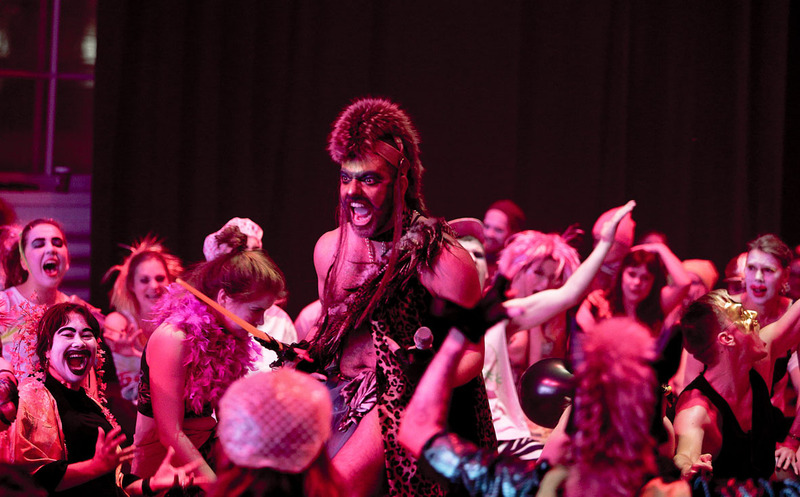 For the infamous Fierce party Miguel Gutierrez’s Deep Aerobics (pictured) will take place into the early hours complete with animatronic masks, neon sports wear, face-paint and lots of dry ice. This entry was posted in Art, Birmingham, Festivals, Performance and tagged Art in Birmingham, eastside projects, Festivals in Birmingham, Fierce Festival, performance, Theatre. Bookmark the permalink.